The first thing that experienced individuals will notice about the Kleinmann’s tortoise is its size. Tortoises have the tendency to be relatively large, and the Kleinmann’s tortoise is compact in comparison to many other tortoises. Plenty of tortoise keepers are worried about their ability to provide enough space for their pets, and the Kleinmann’s tortoise is a relatively good choice for them in that regard. The Kleinmann’s tortoise may present a challenge for even the most dedicated pet owners, especially if they’re accustomed to caring for animals that more or less care for themselves, like cats. However, caring for a Kleinmann’s tortoise can be all the more rewarding in that regard. Prospective pet owners will need to go through breeders in order to get Kleinmann’s tortoises of their own. The Kleinmann’s tortoise is an internationally protected species. People may find that the Kleinmann’s tortoise is somewhat more expensive than other types of tortoises, but that situation will probably change in the future. More and more pet owners are seeing the benefits of owning Kleinmann’s tortoises themselves, which will probably cause the animals to go down in price as more of them are bred. On average, Kleinmann’s tortoises should be fed almost daily, or at least on most days of the week. For the most part, Kleinmann’s tortoises are not going to overeat, so prospective pet owners aren’t going to have to worry about limiting their food intake at different points. Monitoring a Kleinmann’s tortoise’s diet is going to be more important with a very young tortoise, since this is the formative period of their lives. Pet owners can be somewhat more flexible when it comes to adult tortoises. However, even adults would benefit from some dietary variety. Dark, leafy green vegetables are perfect for Kleinmann’s tortoises, although these should be greens that are free from oxalic acid. Parsley, rhubarb, spinach, and chives could all be harmful to Kleinmann’s tortoises. Pet owners should pay attention to how their tortoises respond to certain foods, since even tortoises can vary in terms of their preferences. Lots of people want to give their tortoises fruit, since fruit is sweet and people often think that it’s going to make a great treat for their tortoises. Apples and bananas are okay for Kleinmann’s tortoises on occasion, but pet owners shouldn’t give them out more than a few times in a given week. If they’re suspecting that the fruit is making their tortoises sick, they should stop. They certainly shouldn’t give out fruit in the manner of a pet owner giving treats to a larger animal like a dog. Dogs have stronger digestive systems and can handle more varied diets. Some people may choose to substitute grain-based pellet diets for the Kleinmann’s tortoises, which can work well. These kinds of pellet diets do tend to be very nutritious, to the point where pet owners will often have to rely on supplements without them. Calcium carbonate supplements are probably going to be necessary for most Kleinmann’s tortoises regardless of their normal diets. They need a steady supply of calcium in order to maintain healthy shells. Pet owners should be trying to supply their Kleinmann’s tortoises with housing that comes as close as possible to the sort of environmental conditions that they would have experienced in the wild, albeit in a much safer and more nurturing environment. The tortoise’s habitat should ideally have a humidity level of around thirty percent. Tortoises also need around twelve hours of light each and every day in order to maintain their health. Many tortoise owners make the mistake of keeping their tortoises in overly confining areas. Their tortoises will quickly become stressed under these sorts of conditions, and they may fail to get the exercise that they need. Pet owners should give their tortoises habitats that measure around two feet by three feet, the larger the better. Even tortoises need some degree of stimulation, and they’ll get more of that in a larger area. Kleinmann’s tortoises like to have lots of hiding places within their enclosure. While their shell may resemble a hiding place to a human, tortoises in the wild needed many layers of protection. Pet owners will also need to provide their Kleinmann’s tortoises with good substrates. 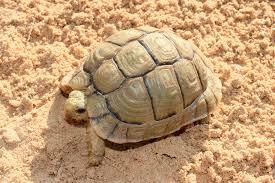 Compact sand or gravel can function as a good, solid substrate for a Kleinmann’s tortoise. The decision about whether or not to hibernate tortoises in the first place is always a tricky one, since tortoises that live in captivity are going to have different needs than tortoises that live in the wild. Hibernation is not a requirement for Kleinmann’s tortoises. They may stay dormant at different periods. During those periods, pet owners should confirm that their pets are in good health, since untreated health problems can actually get worse in a dormant tortoise. Kleinmann’s tortoises are becoming popular enough that care sheets for them are going to be widely available. 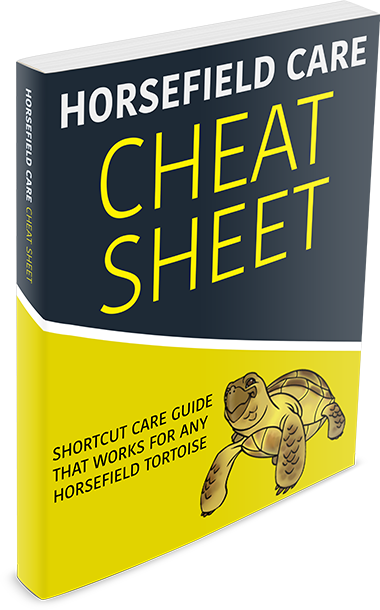 Care sheets should ideally be full of little details, giving pet owners the confidence that they’re providing for the needs of their tortoises. Some breeders will be able to supply all of the information that pet owners need. Pet owners can actually ask their breeders for advice in some cases, if they’re interested in talking to an experienced individual on the subject of tortoise care. Keeping Kleinmann’s tortoises at a temperature range of around 75 to 85 degrees Fahrenheit will probably produce the best results, particularly for infant tortoises. All tortoises are prone to dehydration when they’re subjected to consistent high temperatures, even those that were originally from desert climates like the Kleinmann’s tortoise. Setting up UVB fluorescent tubes and a heat lamp will usually suffice for a Kleinmann’s tortoise. They should be able to get all of their needs for heat and light using those tools.